What makes a better designer today? In Form II this year, we experimented with project-based learning. Students examined existing chairs and reengineered a personal version using digital tools in Technology classes. Rapid prototyping with technology has become commonplace in many professional services. In this class, students learned pragmatic tools including Computer Aided Design, 3D printing and Virtual Reality to produce a minimum viable product. 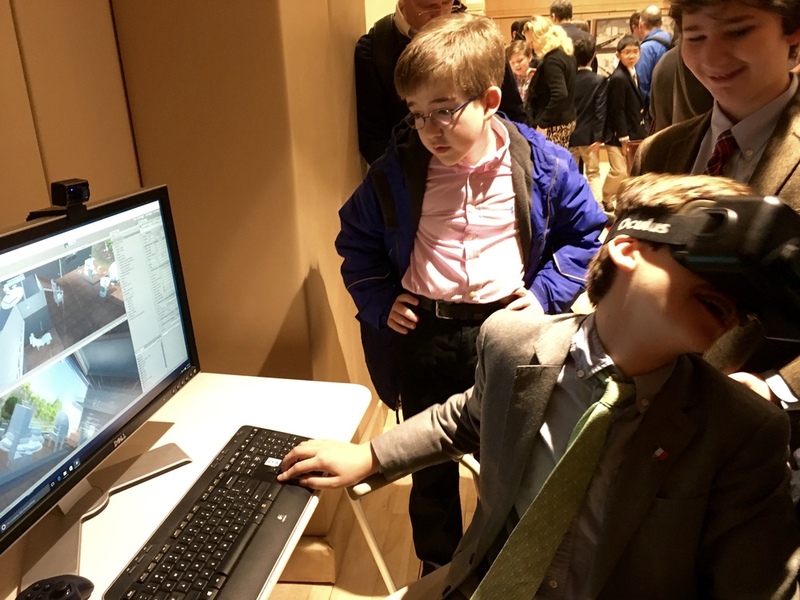 In the third iteration, students built a virtual experience using the Unity programming language and Oculus Rift. Furthermore, the boys’ scanned ceramic models with Mr. Davis and imported these organic structures into a VR realm where they could be displayed next to CAD models created in Technology classes.Our class meetings often resembled a studio where boys would “learn, create and problem-solve in an unstructured environment” (MIT Admissions Office, 2013). This process was the intentional result of meaningful collaboration between the Art and Technology Departments. Through student process, our line of inquiry offers a glimpse into the world where learning to become a better designer will include an interchangeable order of experience with computers or clay. Many thanks to the truly collaborative efforts of Mr. Davis, Mr. Grill & Mr. Vlahos. Newer PostBrowning Boys Win Rube Goldberg Competition Legacy Award!